For the past few years, Kami Harris has studied about 1,000 ticks annually that are sent to the biology department at Mount Allison University. She hopes it continues. Her business model depends on it. Some come from scientists, some from New Brunswick’s Natural Resources Department, others from members of the public who have heard about her work in ticks and Lyme disease. Harris is the founder and CEO of Sackville, N.B.-based Zecken Laboratories, which is dedicated to enhancing the diagnosis of Lyme disease. She has been studying ticks and Lyme disease for her PhD at University of Prince Edward Island, and now she is transforming her research into a company. Her faith in the endeavour is based in part on the growing public awareness and fear of Lyme disease. 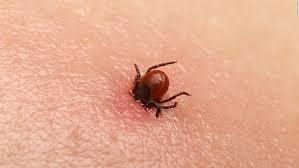 Lyme disease is a bacterial infection spread to humans by blood-feeding insects, particularly deer ticks. And as the climate warms, ticks are spreading north and their bites are becoming more common in the Maritimes. Concern about Lyme disease is growing. Harris, who did graduate and undergraduate studies at Mount A, said there are actually 21 types of Lyme disease but current diagnostic tests only identify one type. That means about 90 per cent of the instances of Lyme disease go undetected, which can lead to long-term health problems. What Zecken is doing is devising products that can identify markers in the other types of Lyme disease to improve diagnosis and therefore generate more treatment. The company has already identified peptides that show the presence of the affliction, and continues to research the disease to identify new strains as they come along. At BioPort, Zecken was a finalist in the BioInnovation Challenge, the region’s main pitching competition for life sciences competitions. Earlier this year, it was a semifinalist in Breakthru, the main startup competition in New Brunswick. Soon it will be ready to start bringing in revenue. The company is planning a basic swab test for consumers in 2018. For $50, consumers find out if a tick in infected with Lyme disease. The basic tick test will bring in revenues as the company seeks regulatory clearance for more sophisticated products. They will range from oral swabs to blood tests to detect Lyme disease. Zecken also wants a business-to-business product to offer to such industries as forestry, where tick bites are a growing concern. So far, the company’s research has been financed through Harris’ research funding, but she and her three teammates know they will need a more structured financing model. They will probably aim for a $250,000 funding round in their first year.